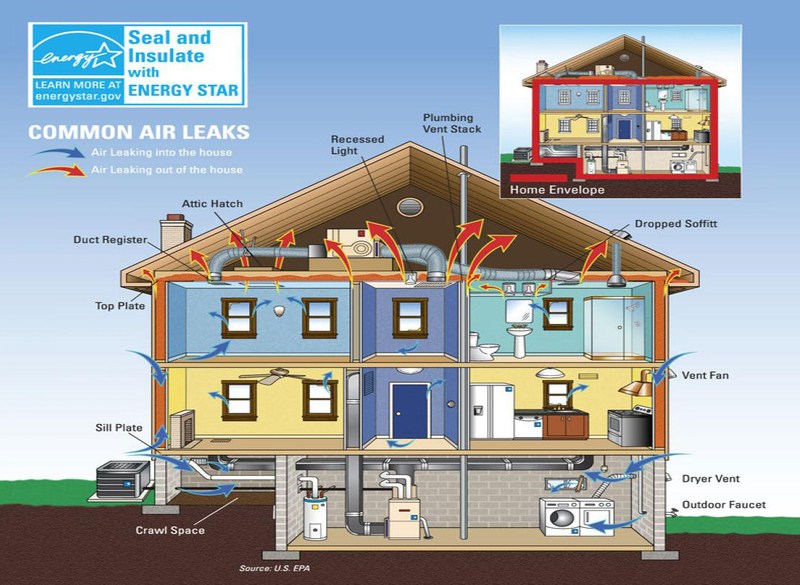 Most homes leak heating and cooling in lots of ways.The Button-Up Program can find the leaks and offer vital tips on insulation and more. Rebates are available for qualifying energy measures. The Button-up Weatherization Program offers an incentive for reducing heat loss of a home. The Button-up incentive will promote the reduction of energy usage through air sealing on the part of the retail member. Typical air sealing includes: caulking, improved weather stripping, sealing attic accesses, etc. To receive this incentive, a Shelby Energy Cooperative representative must perform a pre-improvement blower door test and a post-improvement blower door test to measure actual Btuh reduced. The attic insulation portion of the Button Up incentive will promote the reduction of energy usage on the part of the retail member. Heat loss calculation of Btuh reduced will be made by using either the Manual J 8th Edition or through other methods approved by EKPC. Heat loss calculations in Btuh are based on the winter design temperature. In order to receive an incentive for attic insulation, an air seal must also be completed. The Button-up incentive will pay be $40 per thousand Btuh reduced up to the maximum rebate of $750. Contact Shelby Energy Cooperative at 800-292-6585 for more information and to schedule a pre-improvement inspection.